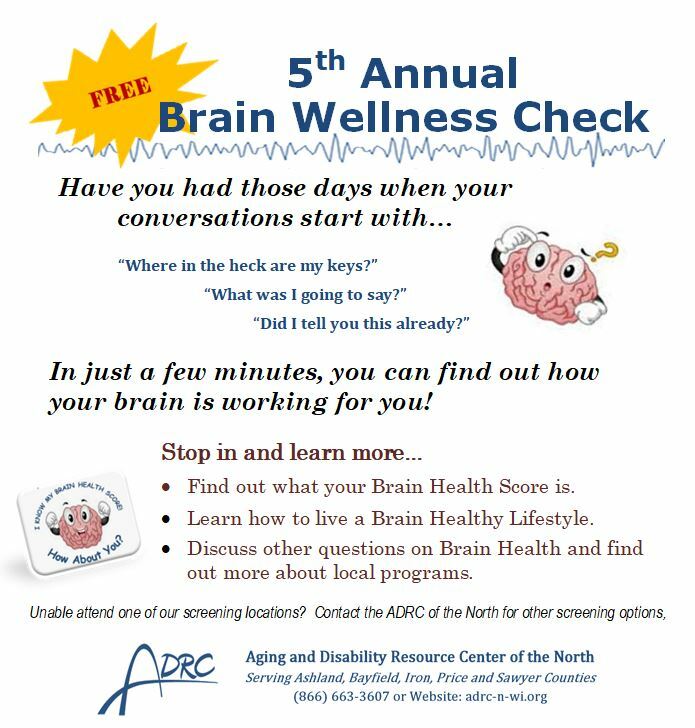 5th Annual Brain Wellness Check 2017 Sites..
Find a site near you… Click on a county below to find a location near you!The Aging and Disability Resource Center of the North serves five counties and three tribes in northern Wisconsin. Below are links to ongoing programs and calendars to show what is going on in your local area. 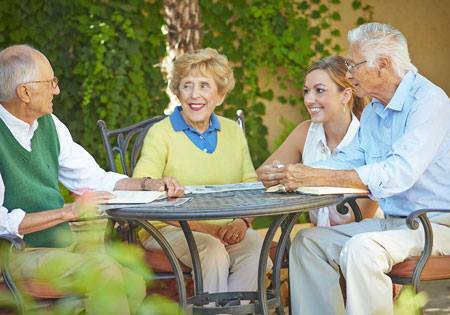 Share your stories and socialize with others who may be concerned about their memory. What is a Neighborhood Memory Cafe? Memory Cafes are unique structured social gatherings that provide opportunities for individual with dementia, along with their family, friends and care partners to enjoy interactions with others in a setting free form awkwardness and stigma. They are not intended as support groups. The cafes provide a safe environment for individuals living with dementia to meet others experiencing the same challenges and to talk openly about issues. For care partners, a community of support is established to help with the feelings of isolation, powerlessness, disorganization and stress. If you would like to contact one of the networks please use the gmail account that correlates with the appropriate calendar. Find the calendar you need. Send a calendar request to the appropriate gmail account. Requests will be reviewed and accepted. If request is not accepted an explanation will be mailed back to the senders email. It is up to the sender to keep the event current and updated.